It’s soon to be the tenth anniversary of the iPhone. Tech writers are preparing their articles based on comparisons of how the iPhone has changed and how it has changed the world. 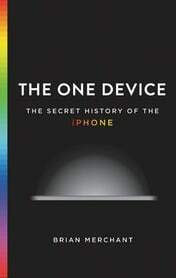 But there has always been a dark side to the production of the iPhone and modern technologies, as a whole. Asbestos is not something this blog writes about often, principally because the risk of asbestos-related diseases is well established and the control measures identified. Ideally asbestos should be left in the ground as, no matter in what state it is used, it presents a serious hazard to someone wherever it has been mined or used. But few countries are willing to make this commitment and even if they do asbestos-containing materials (ACM) continue to be imported regardless of any bans in place, as Australia is currently experiencing. “additional $3.4 million over two years in the 2016-17 Budget”. This was a timely increase, at least politically, to counter the continued importation of a banned substance as mentioned above. However, the allocation of this money to the ASEA misses the target. ASEA does not control the importation of building products; that is the job of the Australian Border Force. In February 2016, Minister for Border Protection, Peter Dutton, announced an inquiry into the importation of ACMs, to be conducted by KGH Border Services, a company with which the Minister’s Department has been in a partnership since early 2015. The final report seems to imply that the issue is too difficult to police and that the current process is the best the Government can do, particularly as a large part of the asbestos problem originates in China, Australia’s most lucrative trading partner. This paragraph from the KGH report illustrates the tone of the report. Asbestos is cheap and effective and used widely, however it is also deadly. As mentioned above, asbestos and ACM is only cheap to purchase but can have decades long costs that would/should render the cheap purchase a nonsense. That asbestos is effective echoes Trump’s position. According to KGH Border Services chrysotile is not internationally recognised as a dangerous form of asbestos. So what? The government that commissioned the KGH report has stated it is dangerous!!?? If asbestos was not killing Australian workers and their families, it would be funny that overlapping and conflicting responsibilities (a responsibility managed by the Government) “can confuse the public’s perception of the DIBP’s role in asbestos regulation”. The public may not understand the role of the DIBP but it certainly understands the fatal risks associated with asbestos. The calls from the public and the unions for stronger policing of banned substances is less a criticism of the Department of Immigration and Border Protection (DIBP) that it is a criticism of the Government for inaction. The report also suggests that other levels of Government should be pulling their weight on asbestos management. They should, and they are, but how much easier, cheaper and more productivity their jobs would be if the Federal agencies prevented ACMs entering the country. It just may be possible to eliminate the established asbestos hazards if new asbestos was stopped being imported. It may also be useful to note that Minister Dutton seems to see the call for controlling asbestos imports as a trade union conspiracy. One could just as well claim that safe asbestos is a Trump conspiracy. The Australian Government is mismanaging the latest controversies around the importation of asbestos-containing material but to manage it appropriately requires hard questions that this government chooses not face. The deaths associated with asbestos exposures are increasing and are likely to for some decades yet. How many decades, is the choice of this Government. Act now and seriously and fewer people will die, businesses will be more sustainable, health and compensation costs will be less. In fact there may even be more jobs and growth. Politicians are regularly called on to provide vision. Asbestos seems to be one of those issues where the vision can be readily understood and easily explained. Addressing the issue in a serious way could also be seen as an example of leadership and the basis for a political legacy. And it is not as if asbestos is irreplaceable. Trump may see it as a miracle building material but the combination of new products with safety in design principles should be able to achieve a comparable fire protection level. Vision and leadership. Where have we heard those words before? Oh yes, EVERYWHERE. Since the quad bike safety roundtable a couple of months ago, the safety debate about quad bikes has been quiet however, the issue has lost little of its topicality. On 5 December The Weekly Times again devoted its front page, and editorial, to quad bike safety. Workplace suicides are in the news at the moment due to Foxconn and, to a lesser extent, France Telecome. There is enough media attention for companies to start to evaluate their own risk exposures. “A tech company in China has recently been plagued with a rash of worker suicides (and attempted suicides). Nine workers (all of them young) died and two others suffered serious injuries. These workers have not only killed or tried to kill themselves, they’ve done so in the workplace itself. …..
On 27 May 2010, a worker at the Foxconn factory in died from overwork, according to a statement released on 4 June 2010 by SACOM. This coincides with a statement by Hon Hai Precision Industry on 6 June 2002, Hon Hai owns the Foxconn facility in Shenzhen. There is clearly something structurally wrong with the working hours basis of the Foxconn factory. Foxconn is a contractor or supplier of high-tech devices to major Western corporations who claim to have stringent oversight regimes.